Join permaculture guru Margaret Mossakowska talking about beeswax in the Good Earth segment; how best to look after those saved seeds in Vegetable Heroes; brighten up dark corners in the garden with this new groundcover in Plant of the Week. Lastly, a flower that’s strongly linked with perfume in Talking Flowers. 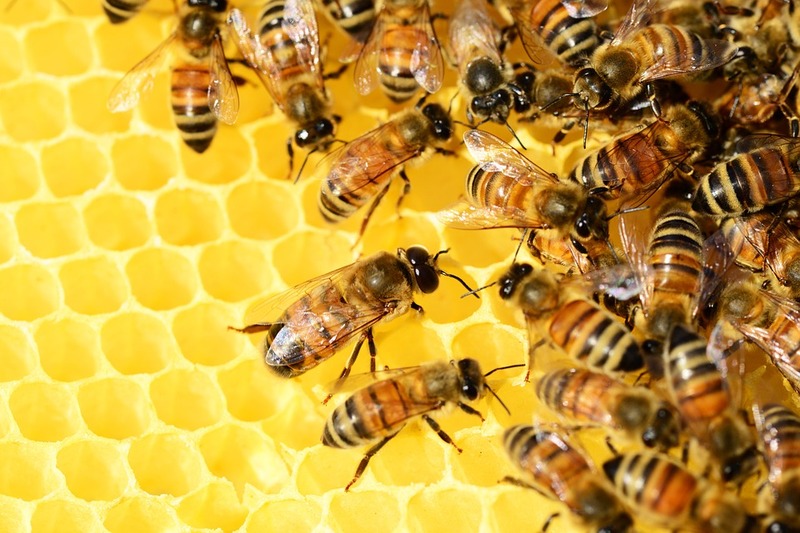 Honey isn’t just the only thing that beekeepers produce. Beeswax is a by product of honey making. So how can we use around the home other than for making beeswax candles? Margaret mentioned that you can make Florentine Wax tablets with pieces of melted wax in a muffin tray. Mix in a little coconut oil so you can spread the beeswax better, then add a few drops of essential oils for perfume. 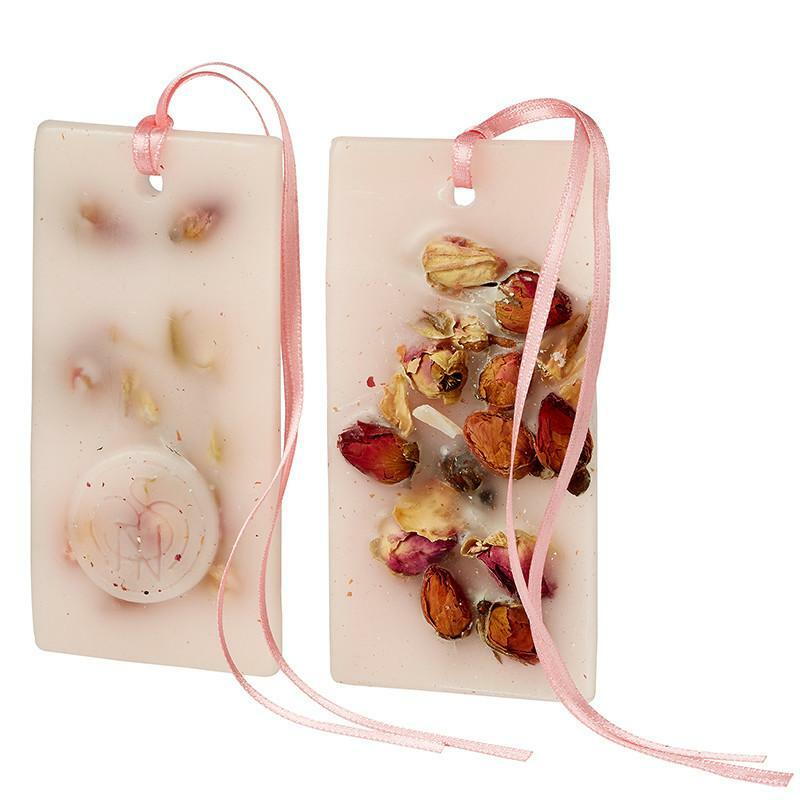 You can even press dried flowers into the top to make them decorative. Leave them around the house to let off their fragrance into the rooms. TIP: Did you know that you can also coat things with beeswax, like hand tools, cast iron pieces and shovels to prevent them from rusting out. You can even rub beeswax on the wooden handle of your shovel to help protect against wear and tear. The ABA currently has 20 clubs/branches around NSW. There are also a number of areas where new clubs are being started. If you need any help finding a club near you, please contact the ABA Secretary. 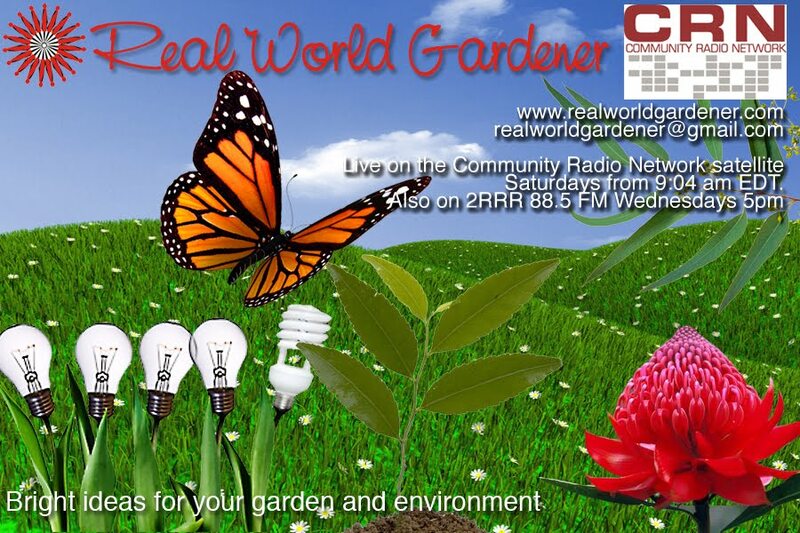 If you have any questions either for me or for Margaret you can email us Realworldgardener@gmail.com or write in to 2rrr, PO Box 644 Gladesville NSW 1675. Shelf life of packet seeds. We gardeners are guilty of buying too many seeds and realise, we just don’t have enough space to grow everything we would like to from seed. Marketing gurus say that impulse buying is one big factor in seed sales. That’s why they make the packets so attractive with those lovely photos on the front of the packet to entice your to buy them. What to do with all those seed packets? Shall you throw them into the compost or give them a go? Now’s a good time to get out your seeds and take a look at the dates on the back usually. You’ve probably got seeds lurking in a drawer, or maybe you’re more organised and they’re in a storage box. Firstly let’s deal with how you’re storing your seeds. If you’re keeping them in the garden shed that gets quite hot in summer, then the shelf life of your seeds is going to drop right down and possibly kill of your seeds. Never store your seeds in a humid warm or sunny spot. Seeds need to be kept cool and dry, ideally the temperature should be around 5°C and 10°C. Keeping them in a tightly sealed jar in the fridge is good but who’se going to have enough room in the fridge for all those seeds? A dark place somewhere in the garage or laundry that stays cool in summer is the best place. When properly stored in a cool, dry place, seed’s shelf life can be extended. - So how long do our veggie seeds last? If you want to be really sure that the seeds you’ve got will germinate and you’ve got quite a few to burn, why not do a simple germination test? Fold over the paper towel and place in a zip-lock plastic bag and seal it; this helps to keep the towel moist and protected. Germination test: Take around 10 of your seeds, and place them in a row on top of a damp paper towel. Then put in a warm location, like a high shelf or on top of the fridge but make sure the spot you’ve picked is away from exposure to direct sunlight. This can overheat your seeds. Next, check the seeds often—around once a day—to see if they’ve begun to germinate and to check the moisture of the paper towel. But don’t keep opening it everyday otherwise your experiment will go mouldy in not time. Only open the zip lock bag if it needs more water, and carefully mist the towel so it’s only just damp, but not soggy. Don’t apply too much water. I’ve recently heard that adding a drop of tea to the water helps with the germination rate. We know that the packet comes printed with the expiry date of seeds. But we want to know can they last longer? In Australia, seed companies are generally required by law to germination test seeds before they sell them. These definitely have a very short shelf life. The longest lasting seeds that I’ve germinated well past their expiry date, let’s say 3-4 years past, without any problem, are Basil, Kohlrabi, Broccoli and Rocket. But let’s talk in families of plants such as in the Brassicaceae family. The long lasting seeds here are Beetroot, Silverbeet, Swish chard, Radish, Turnip, Cauliflower, Cabbage and Kale and Broccoli. Next are those from the Solanaceae family, including tomato and eggplant. Lastly, the Cucurbitaceae or Melon family. Long lasting seeds in this family include cucumber, squash and watermelon. 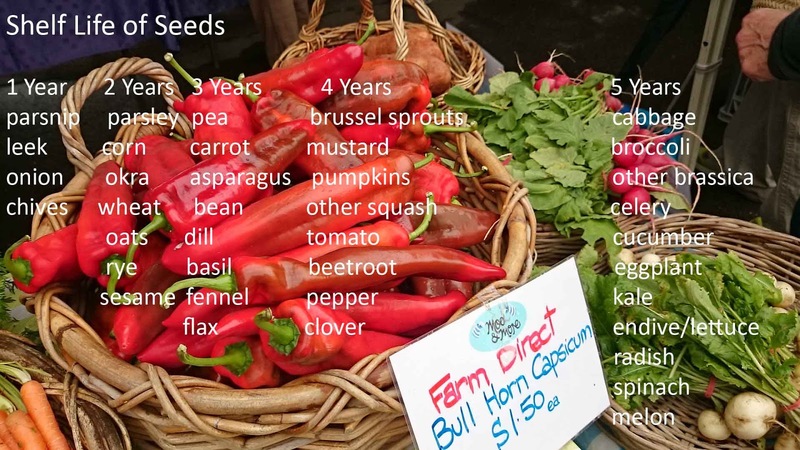 Then there’s those seeds that aren’t so long lived but usually have a shelf life of 3-5 years like lettuce, and possibly parsley. Parsely is one herb that I don’t need to sow anymore. By leaving a Parsley plant flower and set seed, you’ll have, like me, a continual supply of Parsley year round. Until a regular visitor to the garden, a ringtail possum, decides they need something to eat in winter. There’s also the pea or Fabaceae family. So yes, peas and beans are on the list. A few seeds have a relatively short shelf life and are good for one to two years at the most. These include onions, parsnips, chives, scorzonera and leeks. That isn’t definitive and depending on who you ask, some will say that they were able to get their 10 year old bean seeds to germinate or some other vegetable. The "sow by" date is based on the validity of the germination test and is not necessarily an accurate indication of the freshness or shelf-life of the seed. Of course flower seeds are another category and I don’t have time to mention those other than to say, Pansies, Echinaceae, and Nasturtiums have germinated for me well past their use by date. Seeds are best sown fresh. Even stored in a fridge or freezer, the germination percentage and vigour will reduce over time. Are you after a groundcover for dry shade? Would you like something with more colour where nothing colourful grows? Something different perhaps than native violets, dichondra or ferns. 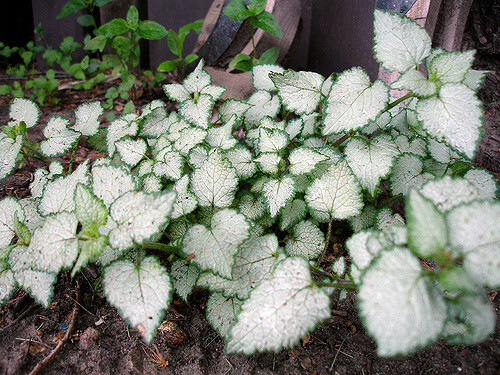 Dry shade tends to be dark, and the main way of enhancing a dark spot is planting something with either pale or white flowers or pale or silver foliage. Cheer up the gloomiest of corners in your garden with this suggestion. 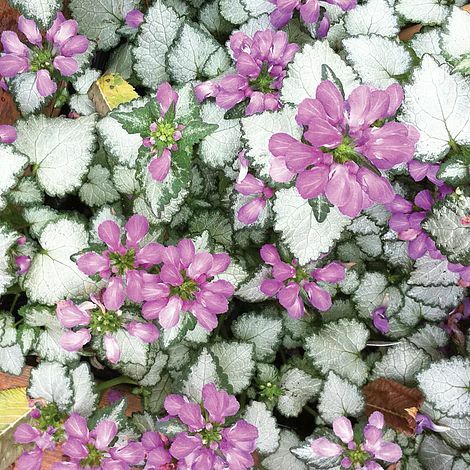 Its common name, deadnettle, is unglamorous, but this lamium makes the best ground cover for tricky, shady spots. Its silver, heart-shaped leaves with a green rim lighten up dreary corners, and the mauve (OK, "Mega Purple", if you must) flowers appear reliably throughout Summer. Meet Hyacinth Bucket! A bucket full of sweetly scented Hyacinth is this week's star in Talking Flowers with Mercedes Sarmini of Flowers By Mercedes. 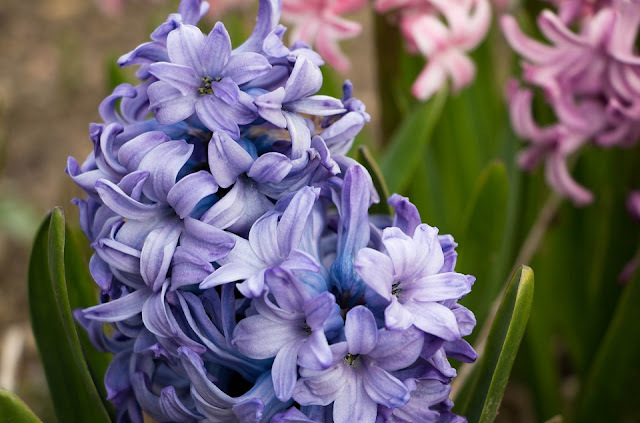 Mr Hyacinth will grace your home with scent and colour for at least a couple of weeks, especially if you grow it from a bulb yourself. Hyacinths can be grown in a special water vase. Colours include red, white, blue, pink, orange, violet and yellow. Hyacinthus orientalis; Dutch or garden hyacinth. You can buy bulbs right now and plant before autumn is over for divine spring fragrance. TIP: Don't forget to pre-chill them in a brown paper bag in the fridge crisper for 6 weeks. but away from fruits and veg.